Banks are foreclosing on homeowners who are in default. While they’re at it, they’re even foreclosing on homeowners who are either current with their payments or don’t even have a loan with that bank. The confusion created by the robo-mortgage fiasco has resulted in lots of mistakes involving who owes what, and where those mortgaged houses are. However, that confusion hasn’t stopped banks from plowing ahead and throwing out the innocent with the homeowners in default. Think it couldn’t happen to you? I bet Christopher Marconi, Tom Williams and Warren Nyerges thought so too. Christopher Marconi was in the shower when he heard a loud banging at his front door. Sopping wet, wearing only a towel, he ran to the front door to see what what the noise was. There he found a foreclosure summons from Wells Fargo that US Marshals attached to his front door. The notice was for a house he didn’t own and a mortgage he never had. Tom Williams had a similar occurrence. While going though his stack of mail, he found a letter from GMAC demanding he pay off his mortgage balance of $276,000 or risk losing his house. But, his mortgage wasn’t due until 2032 and was current, having never missed a payment. Bank of America served Warren Nyerges with a foreclosure notice even though he paid for his house in cash and never had a bank account with Bank of America, and I bet he never will either. Stories like these are happening more and more because of the faulty record keeping of banks as a result of robo-signers plowing through stacks of foreclosure affidavits a day without verifying a single fact. While most of the homeowners involved are people who stopped paying their mortgage and should lose their house, a new breed of foreclosed homeowner is starting to surface. The innocent, homeowners who never owed the bank in question or are current with their mortgage, are being caught up in the same mess as the delinquent homeowner who is either unable to stay current with their mortgage payments or are unwilling. The banks are trying to throw these people out of their homes too. And, since the bank’s records are inaccurate, they don’t know who’s telling the truth or trying to game the system. The only defense a homeowner, wrongfully being foreclosed upon, has is to hire a lawyer to fight the bank’s wrongful foreclosure proceeding. In this case, they’re guilty until they can prove they are innocent. Even though they’ve done everything right, the banks are assuming they’re no different than the people bailing out of their mortgage. Some victims of mistaken foreclosures have had their homes seized, locks changed, and their possessions hauled away. I bet those victims will have a field day in court, and rightfully so. Speaking of lawsuits, a Pennsylvania homeowner named Angela Iannelli was current with her mortgage payments when she arrived home in October 2009 to find that Bank of America had ransacked her house, cut off her utilities, winterized her plumbing, padlocked her doors and took her parrot. It took six weeks to get the bank to repair the damage. Bank of America seized a vacation home in Galveston, Texas, changed the locks and cut the power, leaving 75 pounds of rotting salmon from a recent Alaskan fishing trip, festering in the freezer for weeks. The immediate whoosh of fish smell was immediately noticeable to the Schroits when they finally gained access to their vacation home. They didn’t didn’t have a loan with Bank of America. When asked about the seizure, Bank of America’s spokesman said that the Schroits’ lawsuit “had no merit.” I’m sure the courts will disagree. Other victims, in similar situations, who were foreclosed on have filed lawsuits in Kentucky, California and Texas. Class action lawsuits are also starting to surface. I’m sure cable TV lawsuit advertisements are not too far behind. How many years will it take banks to fix this mess? In the meantime, I have to ask the question. Is it safe to buy a bank-owned property in today’s market given the banks’ track records with inaccurate legal documentation? Does the bank really own the REO property or did they steal it? What happens if you buy it then years later lose it because the transaction was invalid? I also have to wonder if it will get to a point that title companies start refusing to cover bank-owned properties due to the possibility of mistakes in the title documentation? What are your thoughts? This entry was posted in Criminal Activity, Real Estate Fraud, Real Estate Horror Stories and tagged Foreclosure, Fraud, mortgage, real estate, REO, robo-signers by Bill Petrey, Realtor. Bookmark the permalink. I continue to believe that these so-called reverse foreclosures are more marketing ploy than practical solution. It’s the governments way of prolonging the problem and postponing the inevitable. I think the market should let it correct itself. Furthermore, why anyone not paying their mortgage feels entitled to live in a house for free is beyond the limits of reason. They didn’t think the bank was screwing them when they were keeping up with payments. Sure there are cases where the banks could have worked out a settlement but most of the people receiving settlements last year are already behind. Tax dollars wasted if you ask me. The short sale, by itself, will not affect your credit. But you will have to pay off the old mortgage when you sell. If you can’t do that, then you’re in big trouble. You can always buy another house if you pay cash. The problem is getting anybody to lend you any money. The bank will not just let you walk away how are they going to stop you? It’s not a crime to own money. But when you are behind in payments, they might get a court judgment and take any money, cars, furniture, etc. that you have. Any if you get any money later, they can come back and take that except for about $200 a week to live on (depends on the state). If you are unable to pay back the entire loan, your credit will be affected. 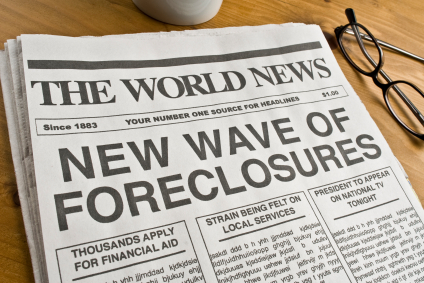 However, it’s not as bad as a foreclosure. If you are unable to get another loan it’s probably because you can’t afford it or are too willing to just walk away from the loan as an investment option. If you can’t afford it, then you should wait until you can. If you can afford to pay your loan and just decided to walk away from it to avoid losing money then only I can’t imagine why any bank would be stupid enough to loan you money ever again. I recently bought a home paying cash. I notice a bank’s name on some of the documents but assumed it had to do with the previous borrower/owners. Now I’m a bit concerned I have no real proof that I “own” the home and wasn’t given a document that proves I own it free and clear. I had hope to avoid the fraud that is our banking system, but now it seems these criminal maybe able effect my life even though I don’t evolve myself with their business. It is sad that we the people keep letting the fraud that is our banking system to continue. Banks aren’t bad, but what is passed as banking is a fraud. I wish I could loan you 100,000 dollars when I only have 10,000 as banks are allowed to do. If you’re worried, contact your Realtor and the title company to have the documents explained to you. You need to know what you’ve signed. A lot happens during a closing and for most people, it’s usually a confusing blur. Best of luck and let’s hope it’s not a problem. Never, never sign anything you do not understand. I learned that in the military when my job concerned classified information. When my signature could put me in Leavenworth I became very judicious with it.